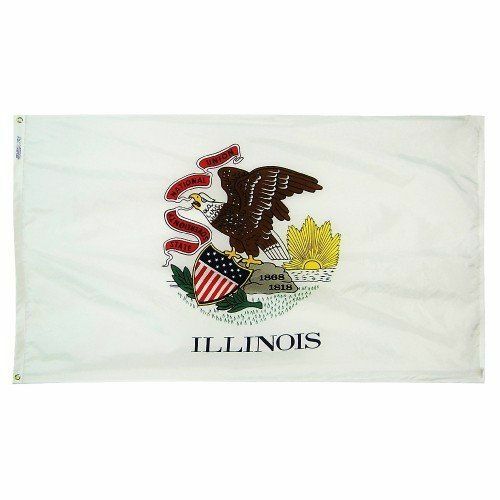 AmericanFlags.com is proud to carry Illinois State Flags in a variety of materials, and styles, in sizes ranging from 4 IN X 6 IN to 12 FT X 18 FT. All of our Illinois flags meet official specifications, are on sale right now and are ready for immediate shipping to your door. 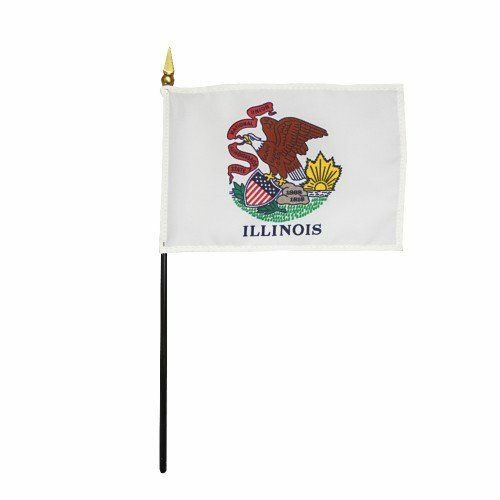 The Illinois State flag was redesigned in 1970 by Mrs. Sanford Hutchinson. 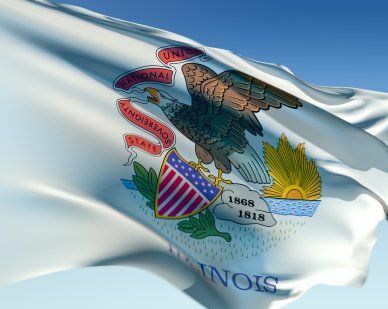 Based upon the state's seal, which was designed by Illinois Secretary of State Sharon Tyndale in 1868, the flag has a white background on which the State Seal and the name "Illinois," appear. The Bald Eagle depicted in the Seal represents the United States. 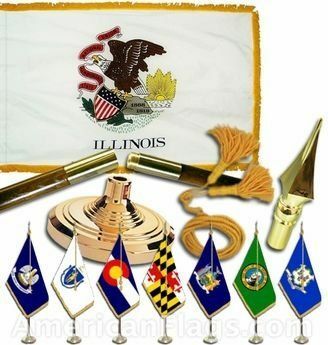 It holds a shield in its talons on which 13 stars and 13 stripes appear, symbolizing the 13 colonies. 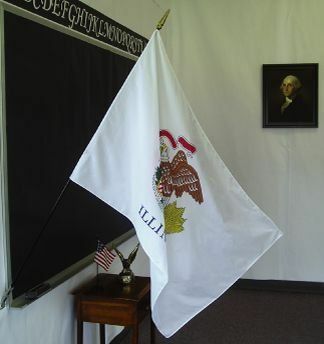 The State Motto, "State Sovereignty, National Union," appears as does the date Illinois was admitted to the Union and the date of State Seal, which are featured on the Seal's boulder.